Foggy Bottom is a historic Washington, DC neighborhood with many single-family homes that date back to the late 1800's. It was once a working-class community of Irish and German immigrants, as well as African Americans who were employed at the nearby breweries, glass plants, and the Washington Gas and Light Company. The area was given its name because it was set low near the Potomac River and was often filled with fog from the local industries. Today, the historic neighborhood is preserved and listed on the National Register of Historic Places. Foggy Bottom is most known for the Kennedy Center, the Watergate Hotel, and George Washington University. It is also not far from Georgetown, one of Washington DC's most popular neighborhoods for shopping, dining, and nightlife. Foggy Bottom is located to the north of the National Mall, west of Downtown Washington, DC, southeast of Georgetown along the shore of the Potomac River. The boundaries of the Historic District are designated as 25th St., NW, on the east; New Hampshire Ave. and H St., NW, on the south; 26th St. on the west; and K St. on the north. United States Department of State Headquarters - The federal agency is responsible for the international relations of the United States. George Washington University - The university offers undergraduate, graduate and post-graduate programs in a wide range of subjects from forensic science and creative writing to international affairs and computer engineering, as well as medicine, public health, the law, and public policy. 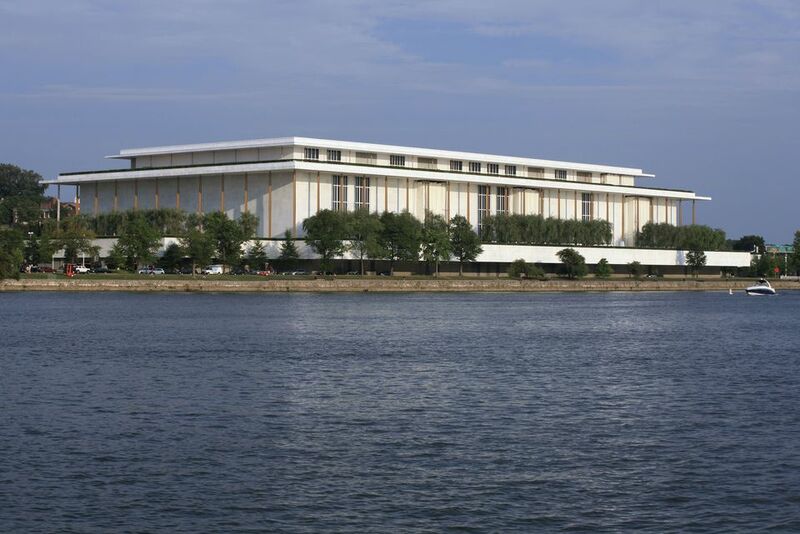 Kennedy Center for the Performing Arts - The performing arts center is the largest in Washington DC and serves as a memorial to President John F. Kennedy. A wide range of concerts, theater and events are performed here throughout the year. Watergate Hotel - The Watergate Hotel and Office Building was one of a group of five buildings that made up the Watergate complex that was the site of the 1972 Watergate Scandal. Today, the hotel offers luxury accommodations and upscale dining. U.S. Department of Interior - The federal agency protects and manages the nation's natural resources and cultural heritage; provides scientific and other information about those resources; and honors its trust responsibilities or special commitments to American Indians, Alaska Natives, and affiliated island communities. World Bank Office Building - The international financial institution provides loans to developing countries for capital programs. Office of Personnel Management - The United States Office of Personnel Management is an independent agency of the United States government that manages the civil service of the federal government. DAR Constitution Hall - The concert hall was built in 1929 by the Daughters of the American Revolution to house its annual convention when membership delegations outgrew Memorial Continental Hall. American Red Cross Headquarters - Built between 1915 and 1917, the building is a national historic landmark and serves both as a memorial to women who served in the American Civil War and as the headquarters building for the American Red Cross. National Academy of Sciences - The non-profit organization is part of the National Academies of Sciences, Engineering, and Medicine, which also includes the National Academy of Engineering (NAE), the National Academy of Medicine and the National Research Council.